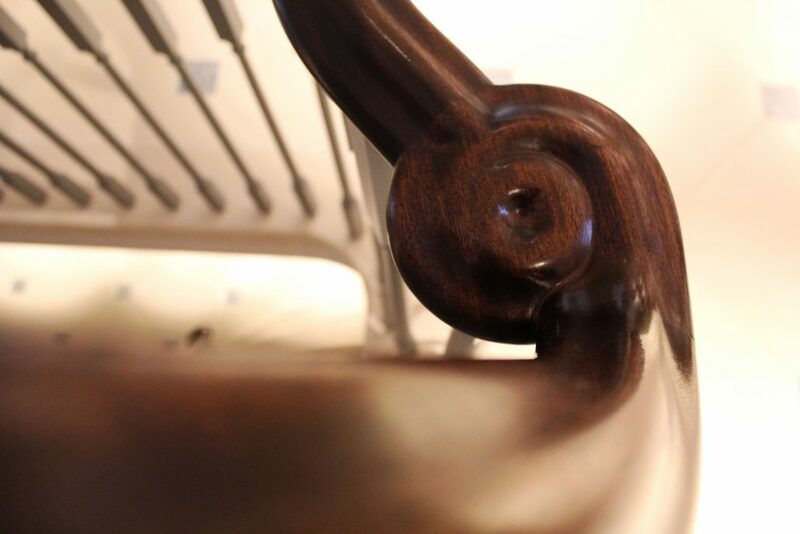 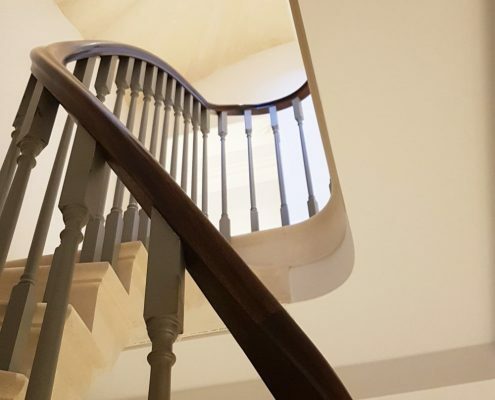 When we were told that it was not possible to fit wooden spindles to a stone staircase, we jumped at the chance! 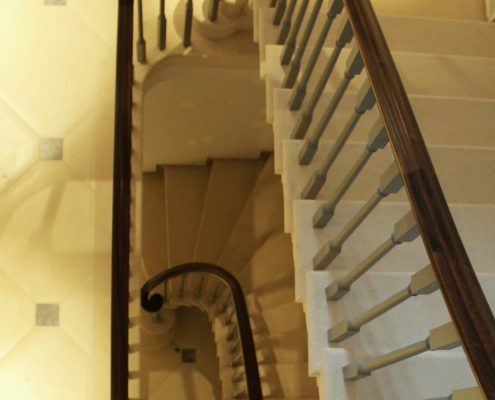 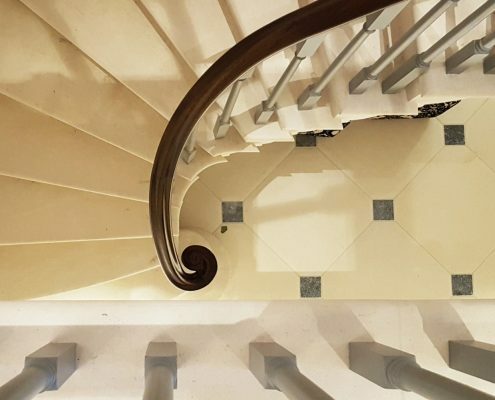 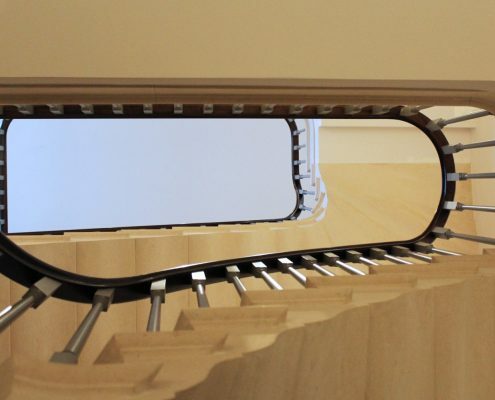 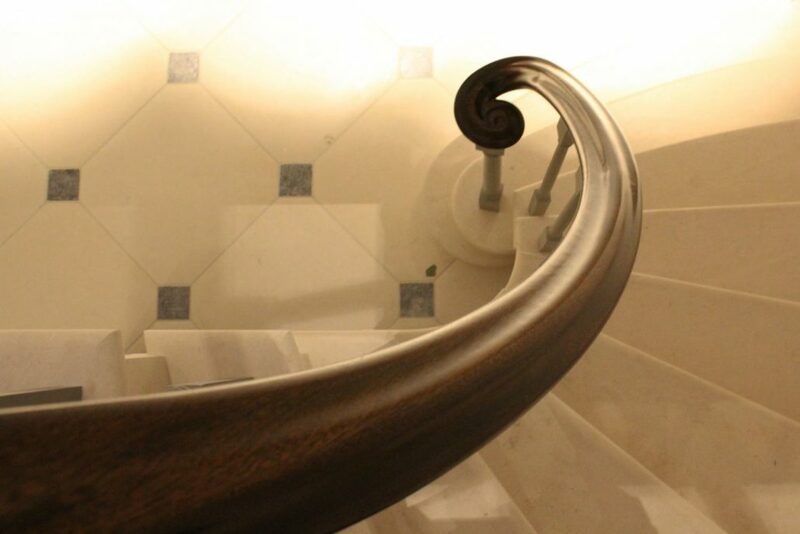 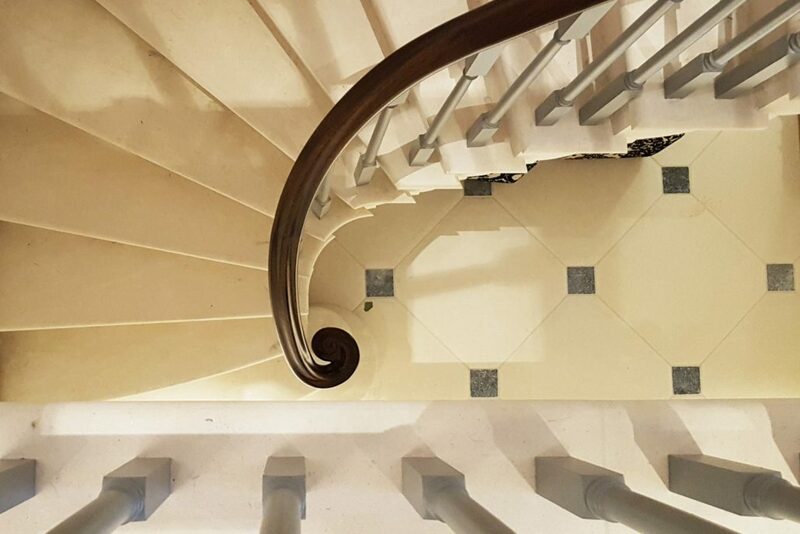 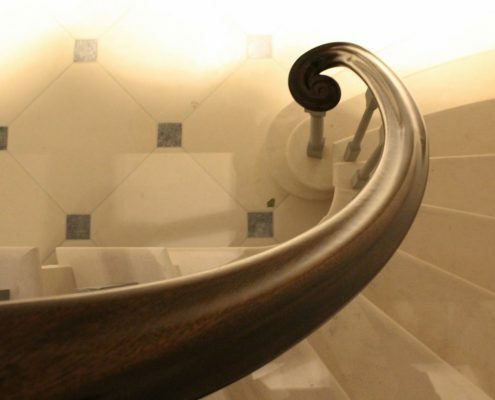 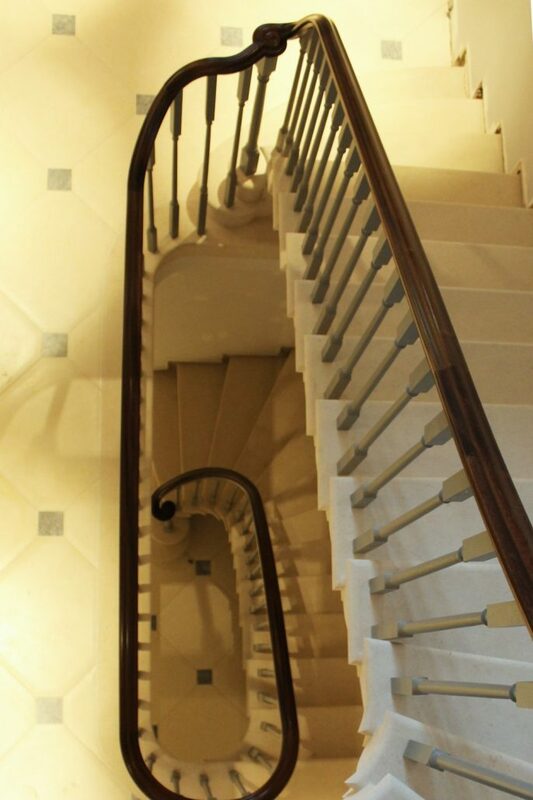 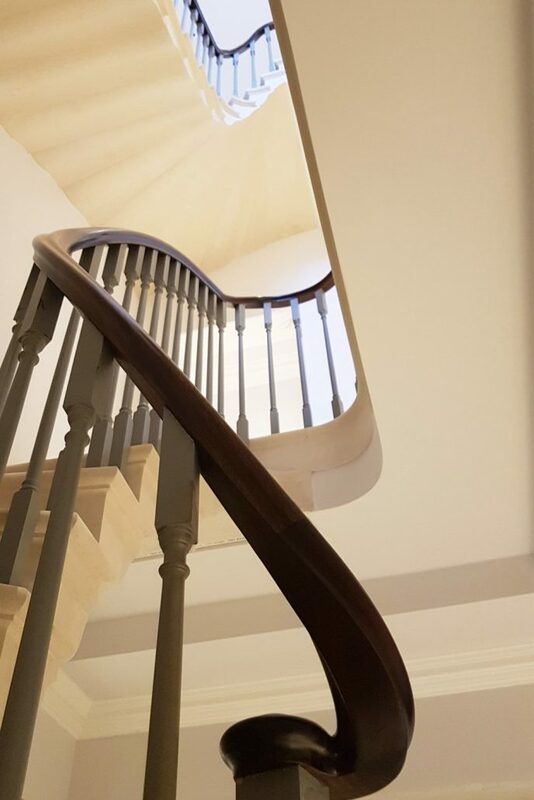 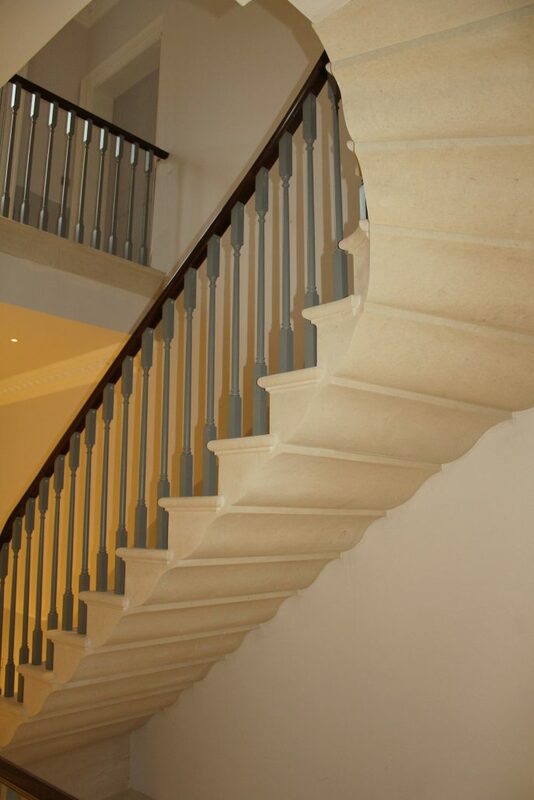 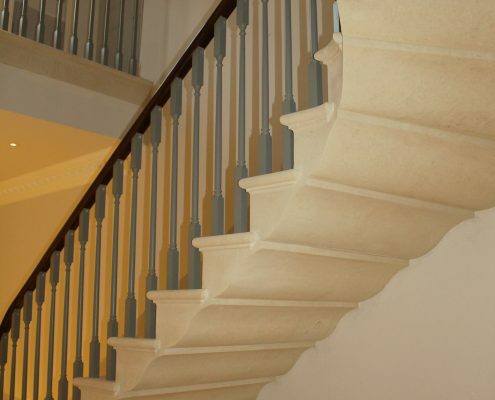 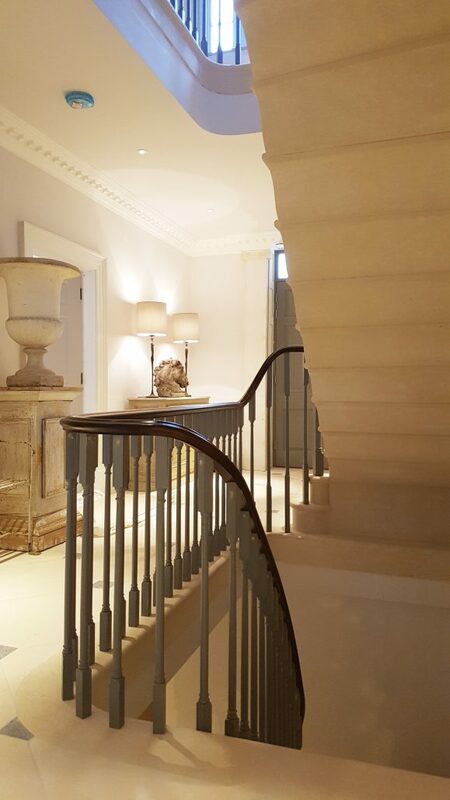 The stunning cantilever stone staircase was installed by The Stonemasonry Company, leaving Handrail Creations a perfect canvas to engineer a solution. 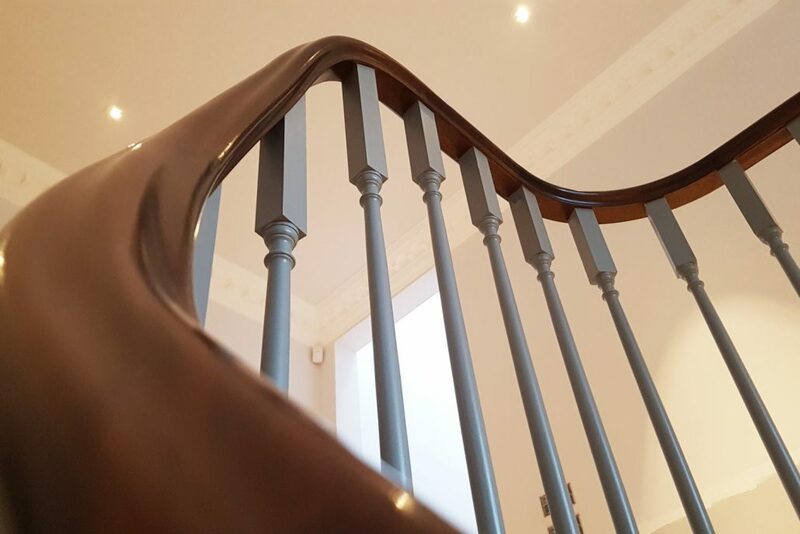 The client was keen to use painted timber spindles and a rich mahogany handrail, creating a sense of grandeur in the entrance hallway. 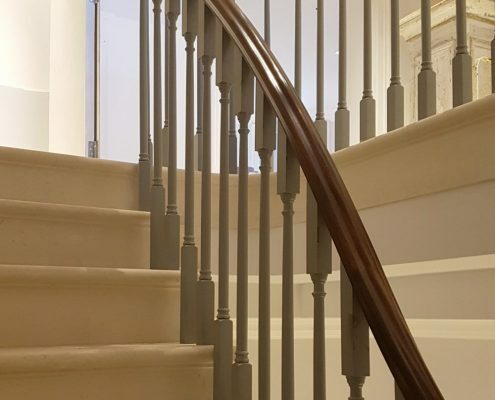 Using our digital surveying systems, we were able to accurately measure two flights and return landings, then send 3D visuals of the balustrade and handrails prior to production. 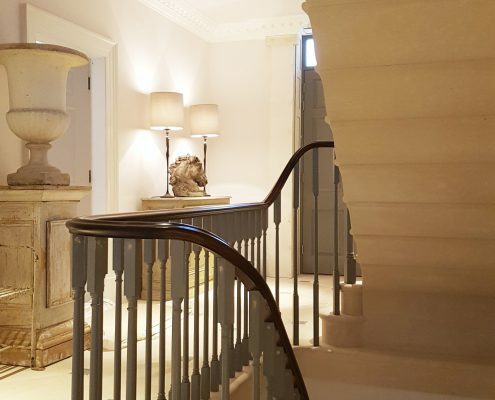 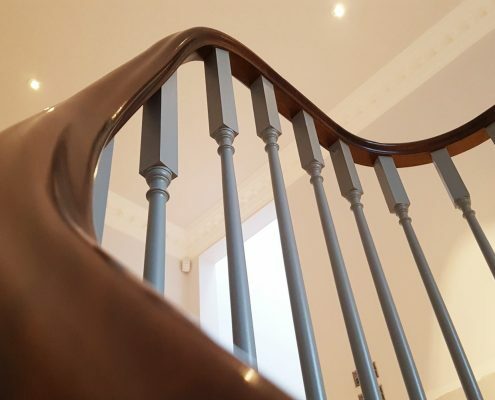 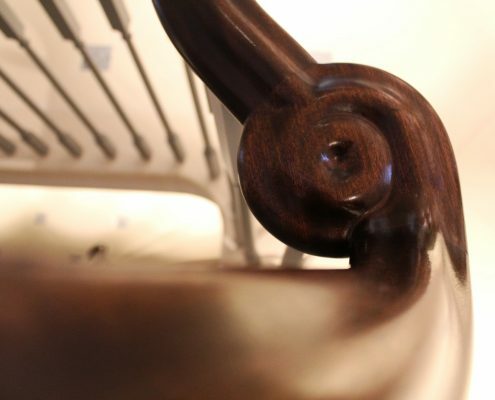 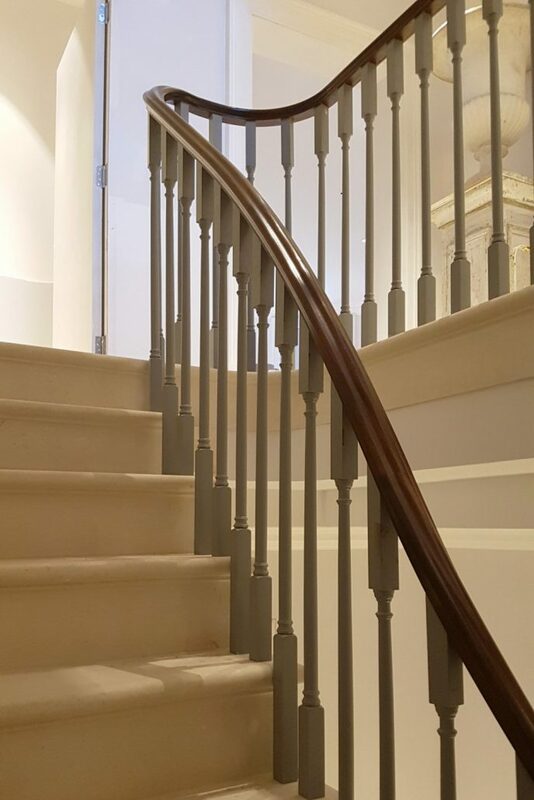 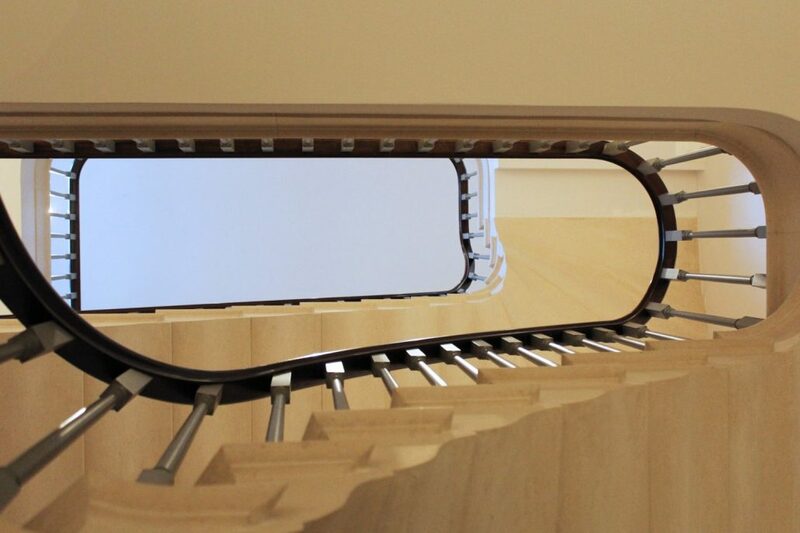 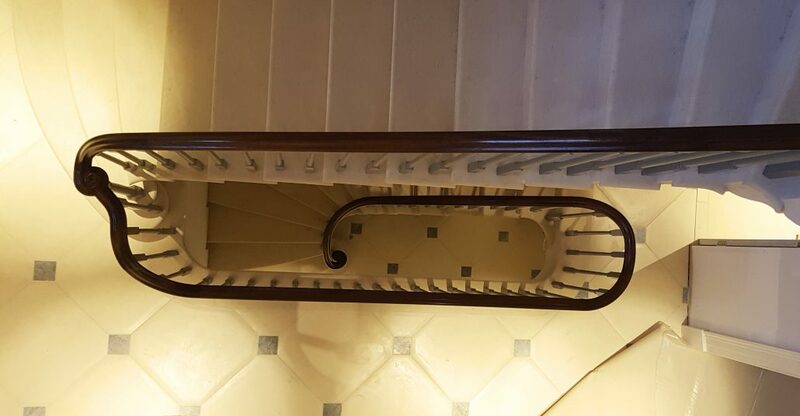 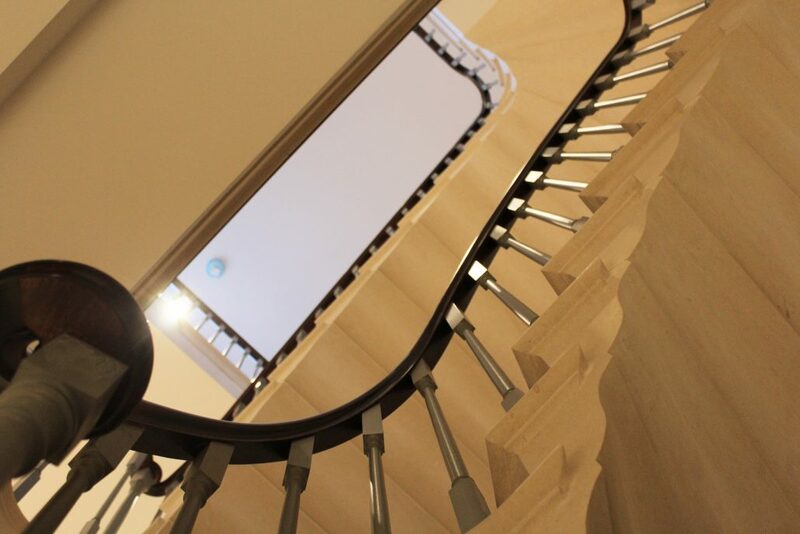 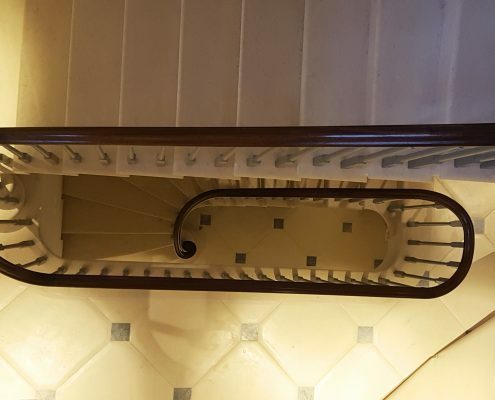 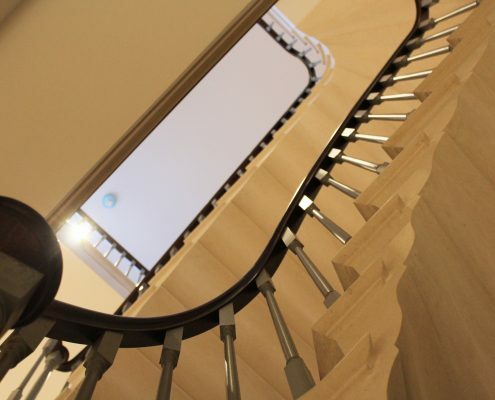 Our team then individually reinforced each of the spindles with a steel bar and fixed into the stone whilst fitting the handrail on top with traditional methods – a great, pioneering success.